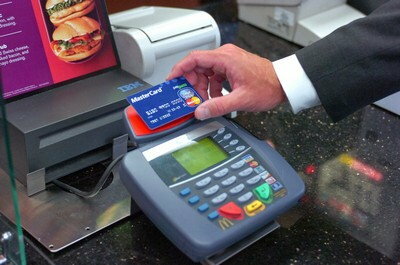 I heard from someone who works in the industry that a lot of fast food places are holding off on EMV. Partly because they're waiting to see what happens with P2PE and partly because there's just no money to just move everything over without having the new stuff be proven first. So my guess that the 50% terminal number is way too high may just be proven out after all. After having many problems using my chip and signature cards in China, I finally decided to apply for a Chip and Pin and started my application process for the UNFCU credit card. It is a slow and long process but well worth it. 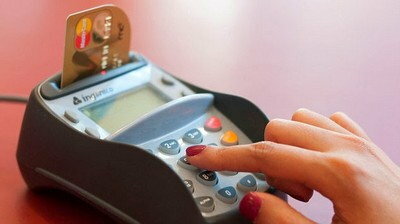 I am very dissapointed with US finance industry for having decided to not go for Chip and Pin in spite of massive fraud. I am hopeful that Target might yet go for Chip and Pin and also convert their store cards to Master Card later this year. What kind of trouble were you having? I'm not sure if C&P will help you in China because I was under the impression that Visa/MC acceptance there was very low. Agreed. A Discover card would be far more useful in China. Not proven? EMV is highly mature at this point. 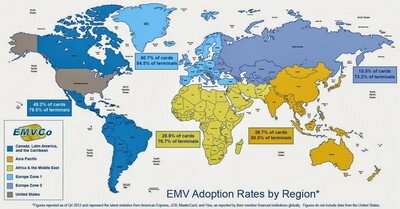 I'm convinced EMV just isn't going to happen in the US in any meaningful way at least until merchants have to feel the pain of fraud for a couple years. I don't anticipate foreigners using chip and PIN cards in the US to have any more hassles than we have using chip and signature abroad. That is a totally unacceptable quantity. What worries me is that some employees will be dumbfounded and pull a "we don't take debit here" when in reality it was really a Chip & PIN credit card. You get exactly the same situation in other countries if you try to use a US card and dumbfounded employees say "We don't accept signatures". Or UnionPay, but no one in the US would dare issue such a card due to the backlash it'd cause. Visa/MasterCard can be accepted in several high-end places, as well as some smaller businesses, but still very low rate of acceptance in general. Also if the card does not have a PIN, you can simply press OK to skip PIN entering when it comes to Chip + Signature, just as using mag stripe cards. I am not sure what will happen if someone uses an EMV Discover card on the chip terminal machine in China, where UnionPay cards are issued with PBoC chips. This has been a concern for me for some time, as I just got my EMV Discover, while chip terminals in China will no longer allow fallback transactions if it's a chip card. FYI old story: http://www.businesswire.com/news/hom...unched-Bancorp - just a prepaid card, though. I've been on the US credit union chip card bandwagon... Started with Andrews, then PenFed, then USAA, and now UNFCU. I have a checking account established. There process for the VISA application seems complex. They want references... Really? Last two pay statements and a proof of employment... Really? I'm not applying for a mortgage! Sounds like they issue cards for other banks. I don't see any sort of way to buy one on their site. Other than my hotel, my Fidelity Chip and signature nor Amex Costco worked no where. So a month back I got myself a Sams Club Master card. Today I received pin generation instruction and it says "Your new Sams Club Mastercard includes chip technology and can be used for, cash access at ATMs, and purchases at PIN secure terminals." 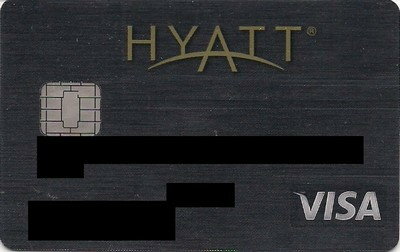 I am guessing this is a Chip+Signature and can also do an EMV Chip+Online Pin. I have several trips coming up to South and Central Asia and China in the next few months. Hopefully I will be well prepared to conduct business without these hassles. 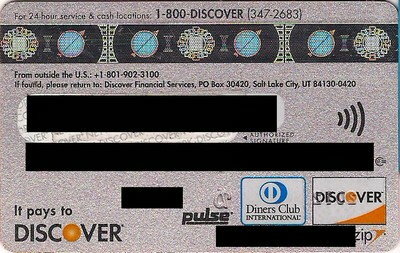 I have a very old Discover card with no chip. I will carry that too. My UNFC card will hopefully be approved by then. I will take a union pay card without any reservation. 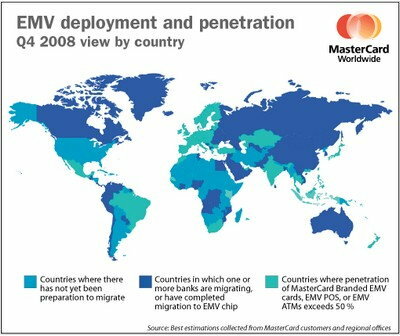 Visa and Master Card have failed to break in to China which is not an open system. Yet Union pay is accepted everywhere in the US. The US administrations have failed to create pathways for US businesses. I do not blame anyone other than the US credit card companies and Visa/Master Card for not pushing chip and pin used worldwide. I thought UNFCU was supposed to be fairly simple? I thought Costco accepted AmEx in all its stores (except Canada, which recently went to MasterCard). My apologies. I meant my Costco branded Amex card did not work in some places in China. I had the most problem in China, particularly at Restaurants. In India I had problem at Marriott hotel restaurant, even though I had no problem at the hotel checkin/checkout. Not sure what the issue is. But I did see Australians and Germans had no problem. 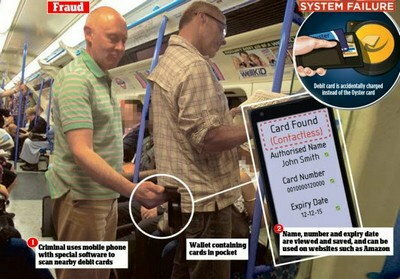 I am thus assuming it is a Chip and Pin issue not a network problem. Armed with an UNFCU credit card, I will know what the issue is. Also, it's possible albeit not that likely that those other tourists are using some sort of UnionPay prepaid card in the China case. Could explain why their cards appeared to work.